John Singer Sargent (1856 -1925) was an American painter who lived much of his productive life in Europe. He has lately fallen out of favor with the art scene, probably because his clients were the super-rich and the crème de la crème of the Belle Epoche art world. On a deeper level, however, our dismissal of him may be about envy: the man could draw and paint with the kind of ease and finesse that contemporary artists just don’t have the time for or motivation to develop. It does take time, you know. Today I want to focus on the way he painted hands. In his stately portraits, the hands appear to be dashed off in a few brush strokes. 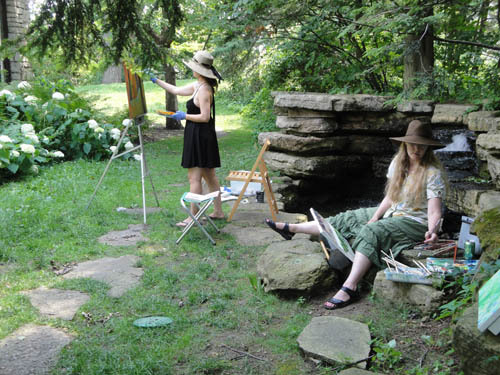 If you look closely at the canvases, you can see that a finger often is rendered with one sure flick of the brush as the hand grasps some gauzy or lacy fabric. You can’t believe that he did that and you just want to give up, certain that you’ll never be able to draw a hand. Then there’s Mrs. Swinton at the Chicago Art Institute. 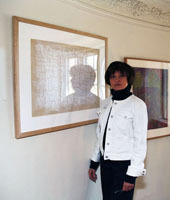 The portrait is four feet wide and almost eight feet high. A very young woman with a wholesome Ingrid-Bergman-face asserts her status in society. 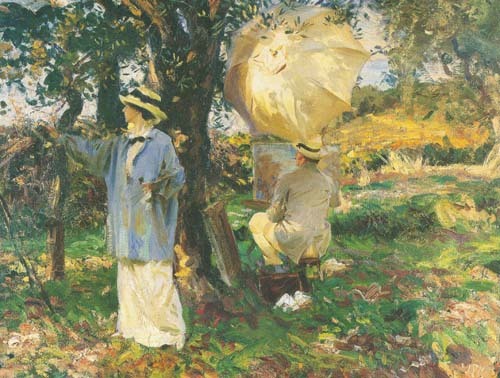 Sargent documents her sartorial finery and dazzles us with his bravura brush work. 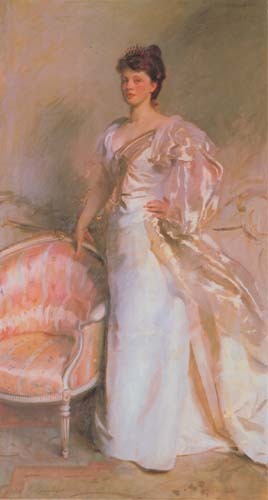 The highlights on the satin gown are globs of cream-white paint; the shine on the chair upholstery is rendered in slashing brush strokes, as if in passing. Then you notice the hands. Both of Mrs. Swinton’s hands are positioned to convey hauteur. Her right hand is twisted back over the chair in a supercilious, affected manner. 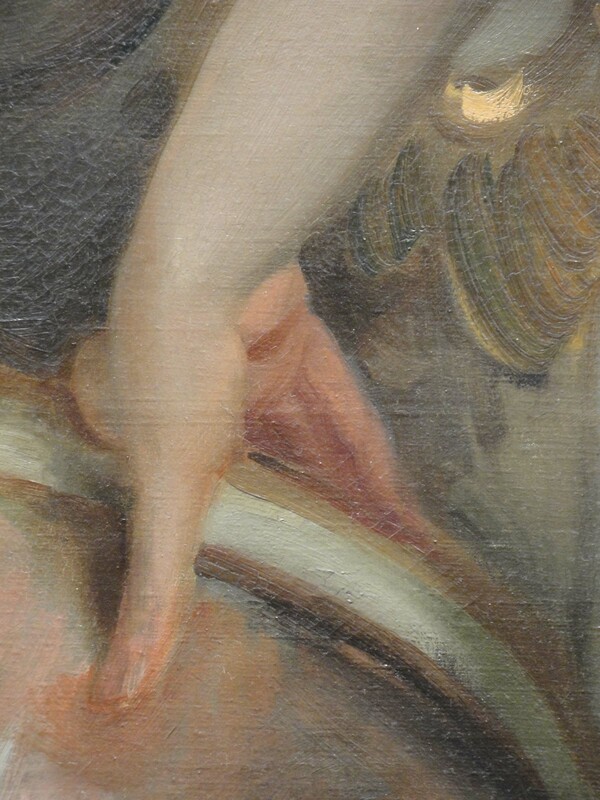 This gives Sargent a chance to show us that the anatomical difficulty of this oblique view does not faze him. He nails it in a few brush strokes. The left hand on the hip, however, gave him a work out. Here he’s not showing off, he’s not flicking the brush to get the tapered fingers in place. This passage in the painting is labored, with the paint applied in many thick layers. You can empathize with his struggle if you’ve ever tried to draw a hand and maybe you feel relieved to know that even a wizard like Sargent can have a bad day with hands. Actually, it’s odd that this hand, which is so relaxed, with the fingers nicely aligned, would give him trouble. But clearly, it did. 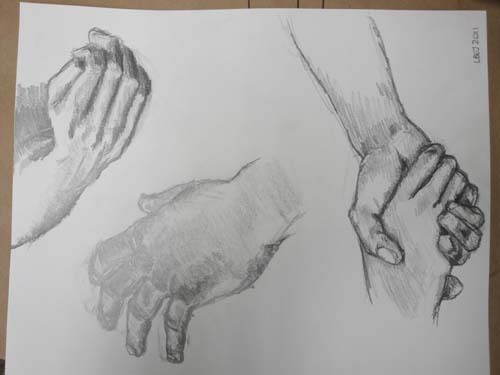 Hands are difficult, no doubt about it. The anatomy is complex and it can come at you in so many different angles. Still, you can learn to draw hands. When we do hands in my drawing class, I sit next to individual students and show them how to tame this beast. 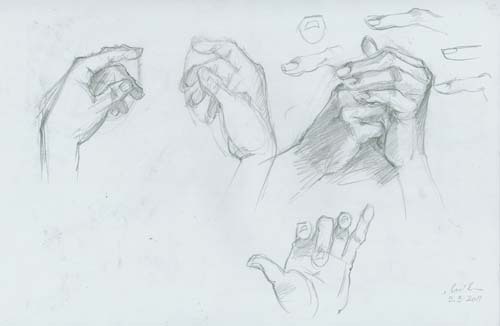 Basically, there are three main points: 1) the knuckles form a V; 2) draw the general form of the whole hand first; and 3) don’t overdraw the fingers, especially not the finger tips. 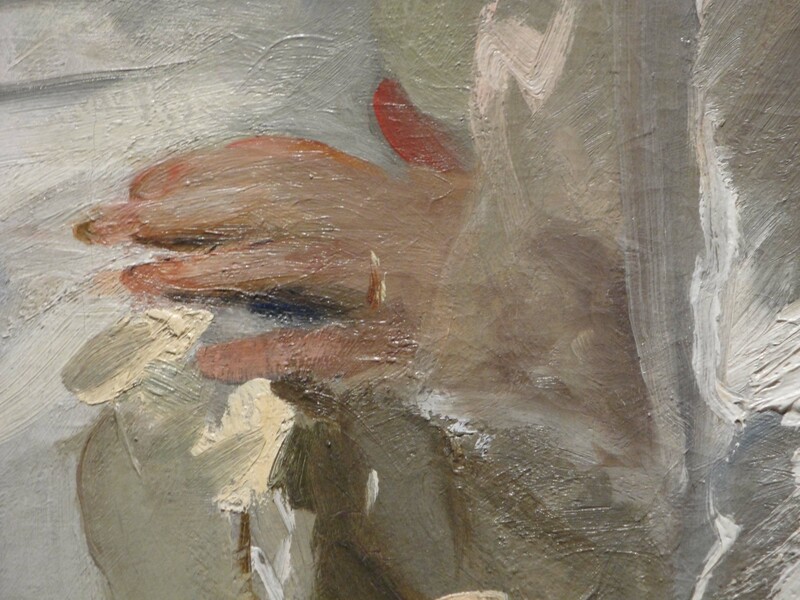 If the mighty Sargent can spend hours scraping and glopping over a left hand on a canvas, you can forgive yourself for drawing a clumsy hand, too. 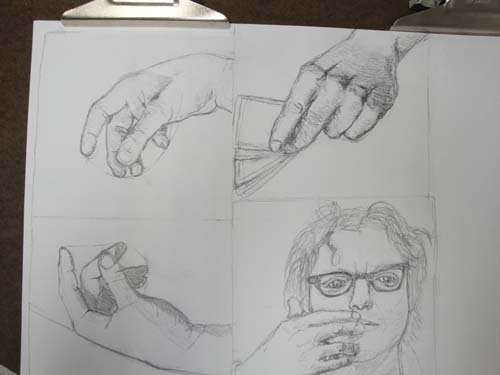 It gets better with practice and eventually you’ll pull off a really elegant set of fingers. Not every time, but enough of the time to look forward to the challenge and the pleasure (!) of drawing a hand. Sometimes my students’ progress is startling. 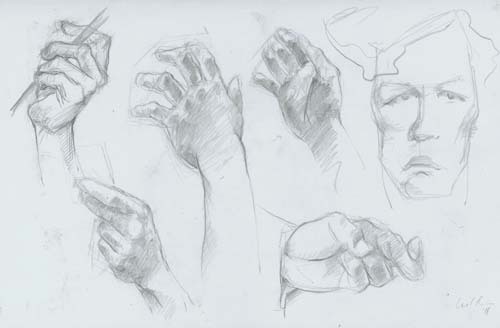 After one brief demo, a student will draw a page of hand studies that shows a sudden grasp of all the points I’ve demonstrated.